In 2016, Margaret Richards achieved a career goal when she was named the new Head Coach of Alabama A&M University. Tasked with rebuilding Division I program that had not won more than six games during each of the two seasons prior to her arrival, Richards’ combination of experience as a Division I Assistant Coach and Division II Head Coach fully prepared her for this opportunity. 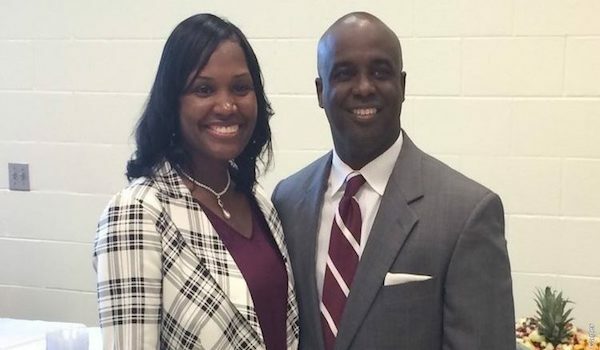 Now in her second season, Richards and her staff have been working hard to lead Alabama A&M to the same level of success Richards’ achieved as an Division I Assistant Coach. Can you take us through the process up until and your emotion once you were officially named the new Head Coach at Alabama A&M? The process for me on being named the Head Coach here at Alabama A&M was quick. I spoke with the AD a couple of times and he was extremely interested so he asked to speak to the Head Coach I worked for. This opportunity came out of nowhere, as I was not looking and it was at the end of the season. Therefore, I knew they wanted to move quick and I had some decisions to make and research to do. My emotions were high and I was honored that an AD reached out to me and showed interest. After he spoke to my boss, I got my portfolio together and went on the interview. The interview went very well and they offered me the job. After doing research and putting together the staff that I wanted, I happily accepted the position. It was a dream come true and I had reach one of my basketball goals to be a Head Coach at the Division I level. I was and am very grateful for this opportunity. Do you feel that serving as the Head Coach at Saint Augustine’s early in your career better prepared you to lead your own DI program? Why or why not? I feel strongly that my previous experience as the Head Coach at Saint Augustine’s College helped me in a variety of ways. I was able to gain experience on operating a budget and knowing how to adapt as a leader with limited resources. I was also able to learn the importance of scheduling, managing a staff, and running practice. Are there any strategies you utilize to maximize a minimal budget? To maximize a minimal budget, I believe one thing you have to do, especially with recruiting, is have more camps on your campus so you can see recruits in person and have that face-to-face contact with them. Also, recruiting regionally can save money. With traveling, you can travel the day of to games that are within a two to three hour radius. Knowing what you know now as a Head Coach, what advice do you have for assistant coaches to best prepare to lead their own program for the first time? Knowing what I know now as a Head Coach, my advice for an Assistant Coach who is looking to fill these shoes is that you have to have a balance in your life and not get caught up in trying to be perfect. Do not be afraid to fail because you will at times. You will have to be mentally, emotionally, and physically tough because you have to make tough decisions. Stay grounded, consistent, and stick with your philosophy as a coach and leader because it will pay off.